This is Old Jack’s first book of ghost stories. Old Jack lives in the north of England. He likes to go to places where he can hear mysterious stories. He also likes to go to places with ghosts. Old Jack tells us about the Roman soldiers in The Treasurer’s House in York. Where are they going? And why don’t they have legs? Some drivers in Cheshire have seen a woman with no head walking near a road. Who is she? And why does she appear? Two security guards are working on the London Underground one night. All the trains have stopped and the stations are closed. So who is the man standing on the platform? And why are there white clothes on a bench? 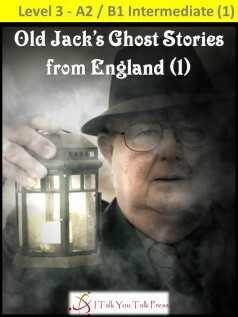 Enjoy reading Old Jack’s stories from this country of mystery and dark secrets.